MORAGA, Calif. -- Police are looking for two suspects who robbed an elderly man and woman at gunpoint in a residential area of Moraga on Wednesday night. 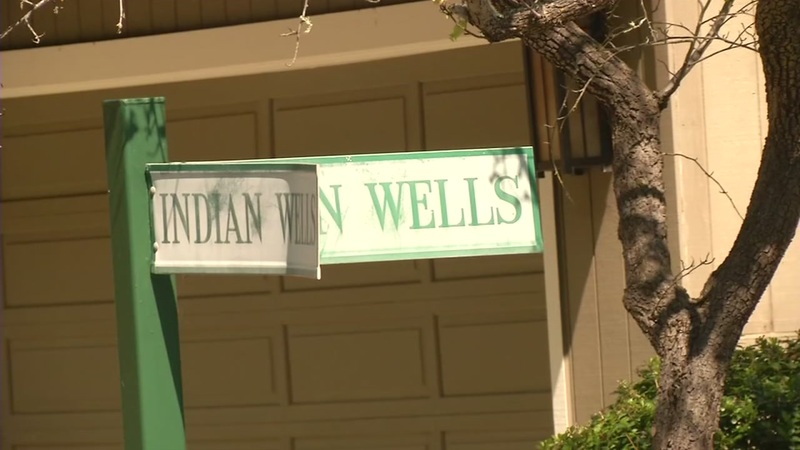 At 10:27 p.m., Moraga police received a call of an armed robbery on Indian Wells Street. According to police, the victims are in their 70s and had arrived home and parked in their driveway when they were approached by two men. The first suspect pointed a gun at the woman and took her purse and a bag she was holding. The second suspect pushed the man to the ground, causing him minor injuries. Police said the suspects left the area and were last seen running east on Indian Wells Street toward St. Andrews Drive. Officers from the Orinda and Lafayette police departments, and the Contra Costa County sheriff's helicopter also responded to the scene. The second suspect was described as a Hispanic man in his mid-20s, between 5 feet 6 inches to 5 feet 10 inches tall with a thin build, and was wearing a dark-colored hooded sweatshirt and dark pants. Anyone with additional information about the case is encouraged to contact Lt. Brian South at (925) 888-7052 or the Moraga Police Department at (925) 284-5010.